The city of Amsterdam includes thousands of 16th, 17th and 18th century buildings, more than 7500 of which are considered National Heritage Sites. 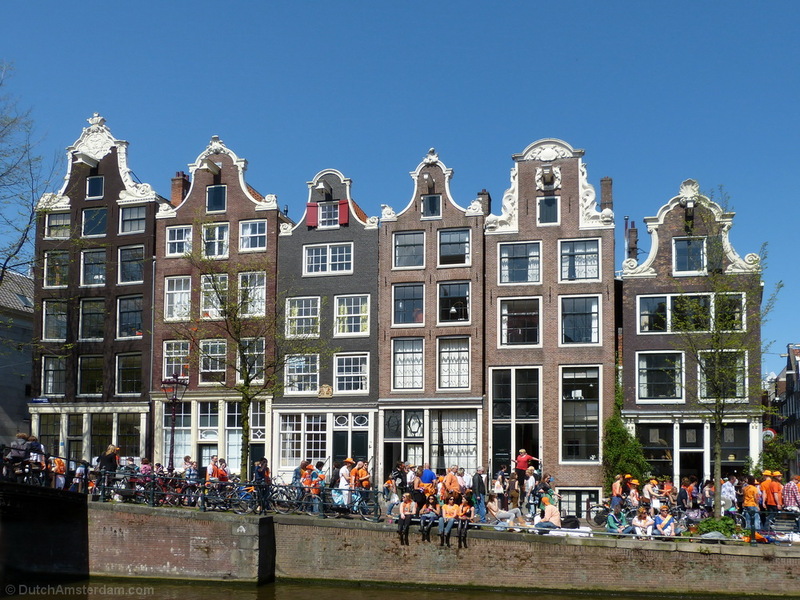 Shown above are six of those monuments, in this case a row of houses along Brouwersgracht (literally Brewers’ canal — a reference to the many breweries that used to be located here). Many of the monuments along this canal were built during the 17th, 18th and 19th century. This row of houses, at Brouwersgracht 56 – 46 (left to right), all were built in different years during the 18th century. You’ll note that neck gables were popular at the time.